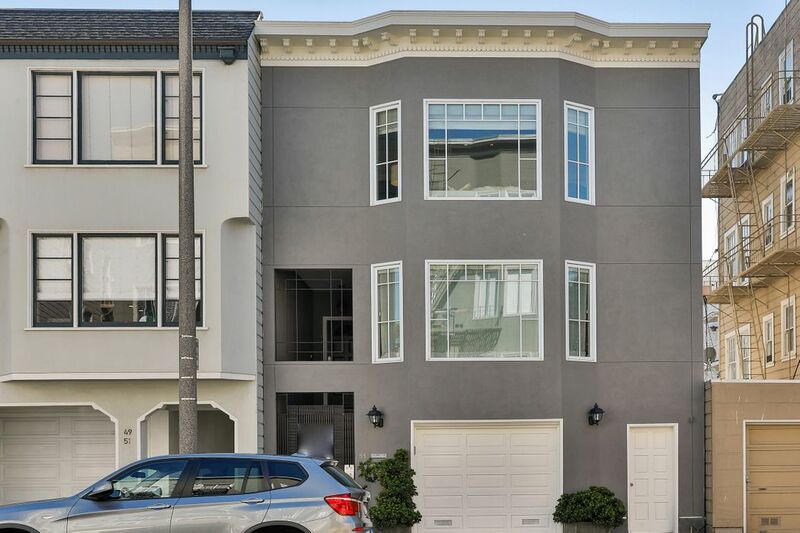 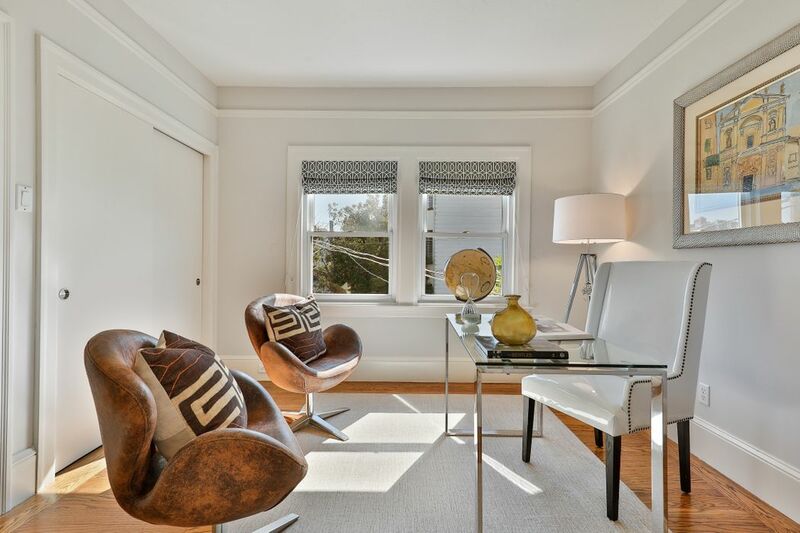 55 Capra Way, San Francisco, CA 94123 | Sotheby's International Realty, Inc.
$2,495,000 3 Bedrooms2 Full Baths2,220 sq. 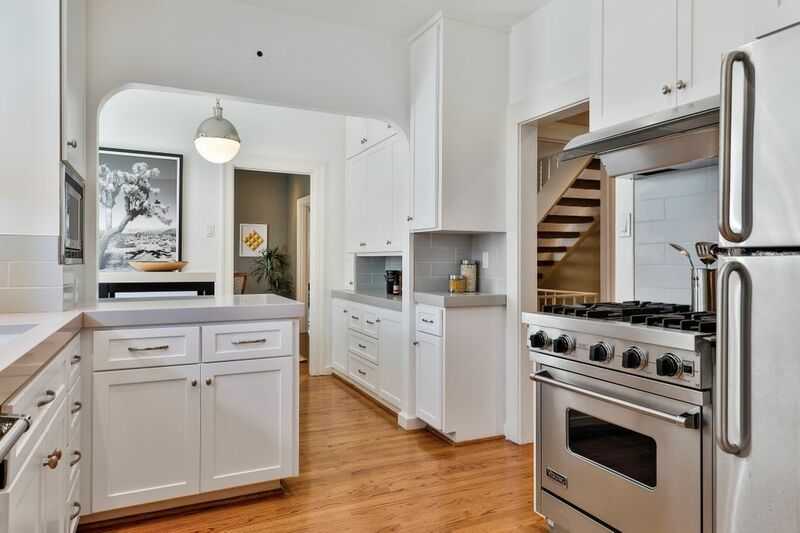 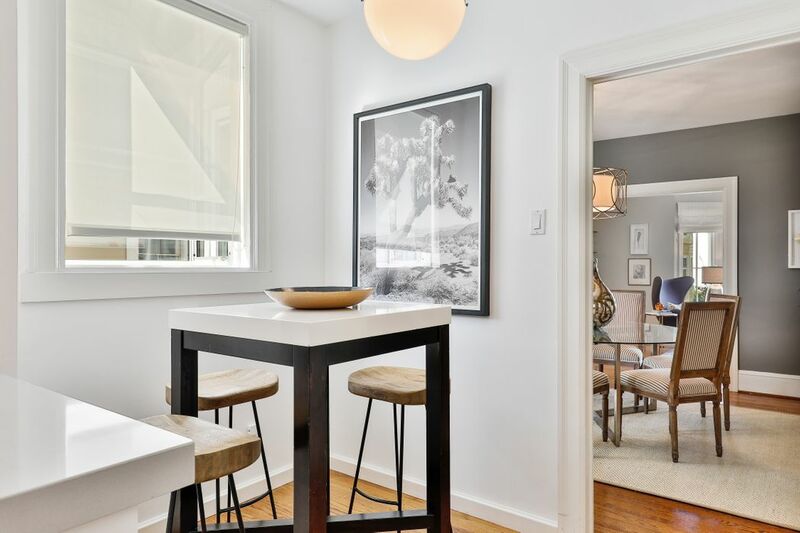 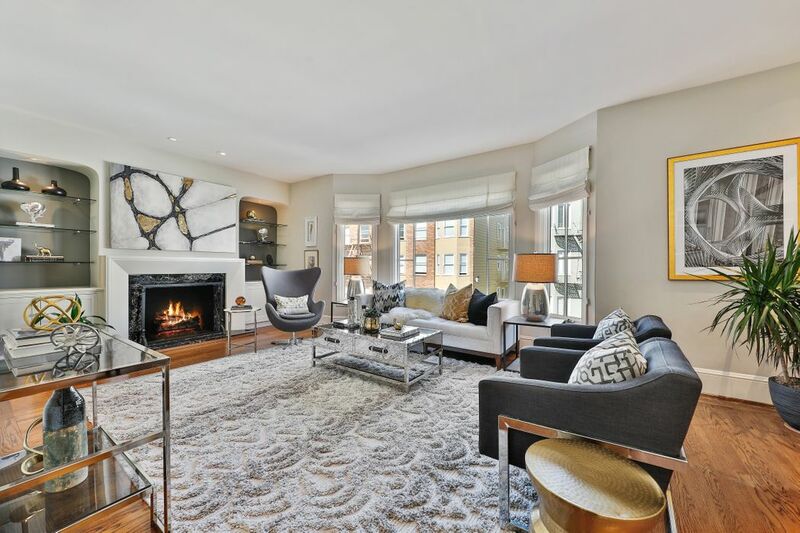 ft.
55 Capra Way is an exceptionally spacious, two-level upper condominium in a two-unit building ideally located in the Marina neighborhood midway between Chestnut Street and the Marina Green. 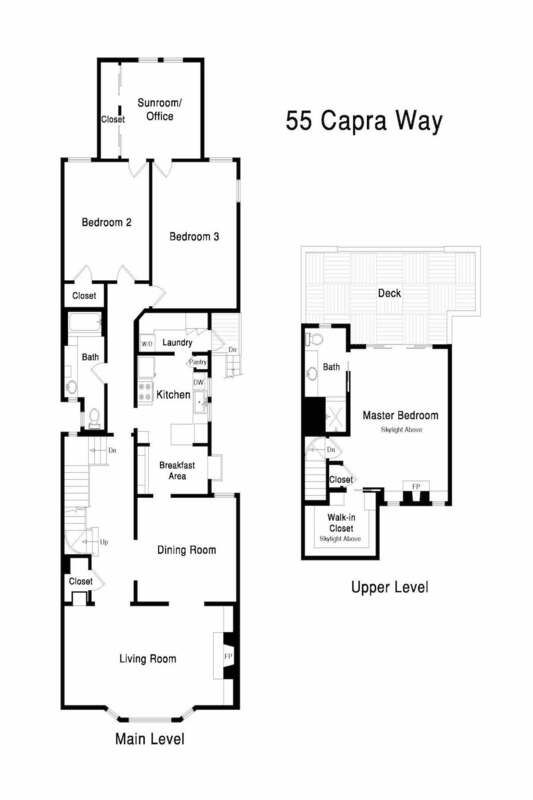 This residence has a floor plan that simply works. 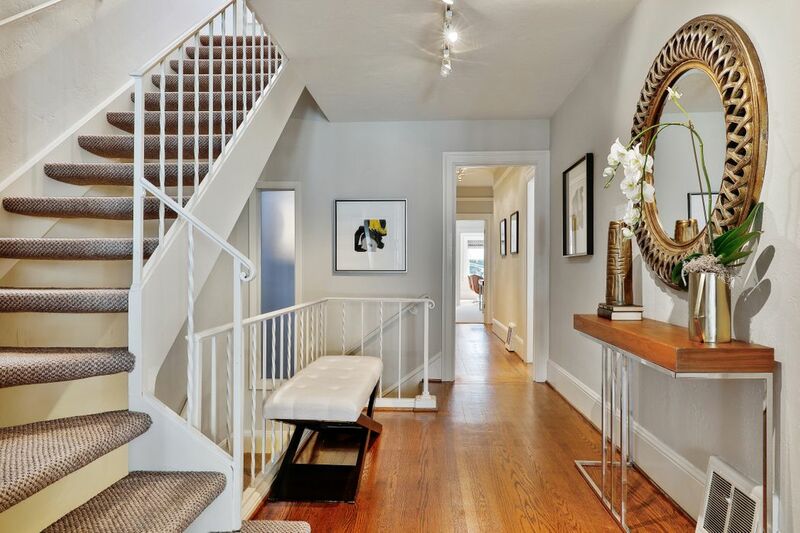 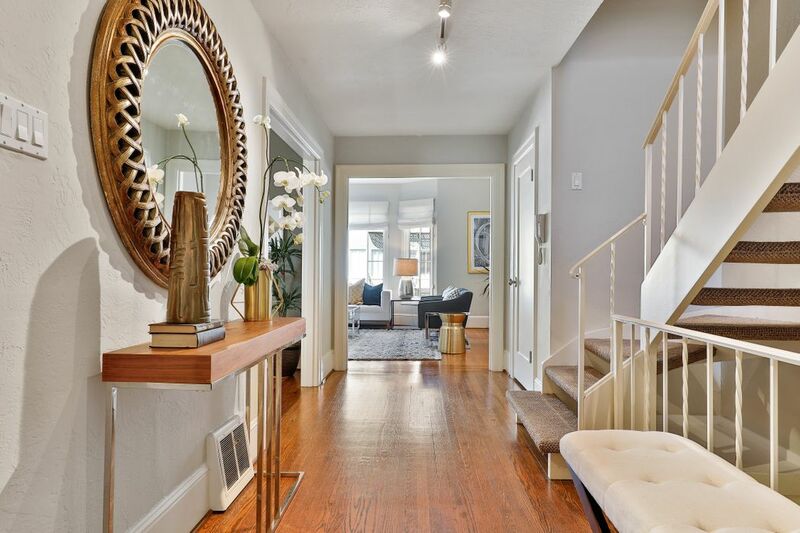 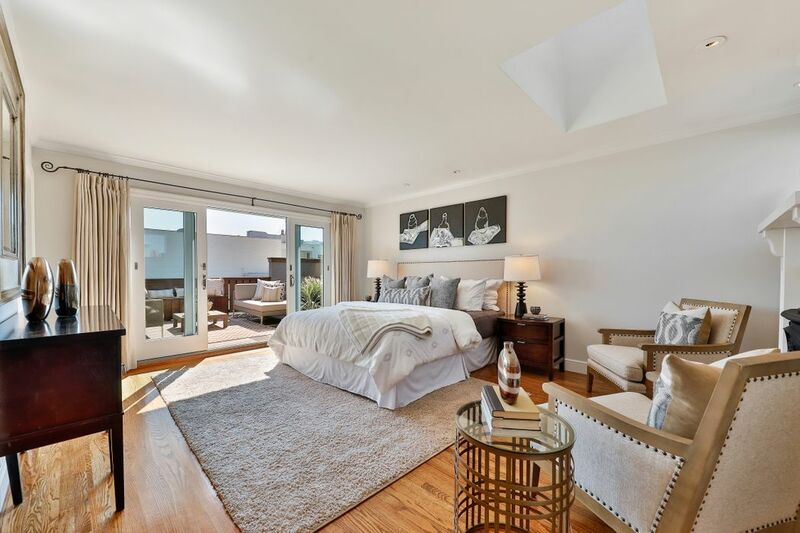 Beautiful hardwood floors, recessed lighting and abundant natural light enhance the residence. 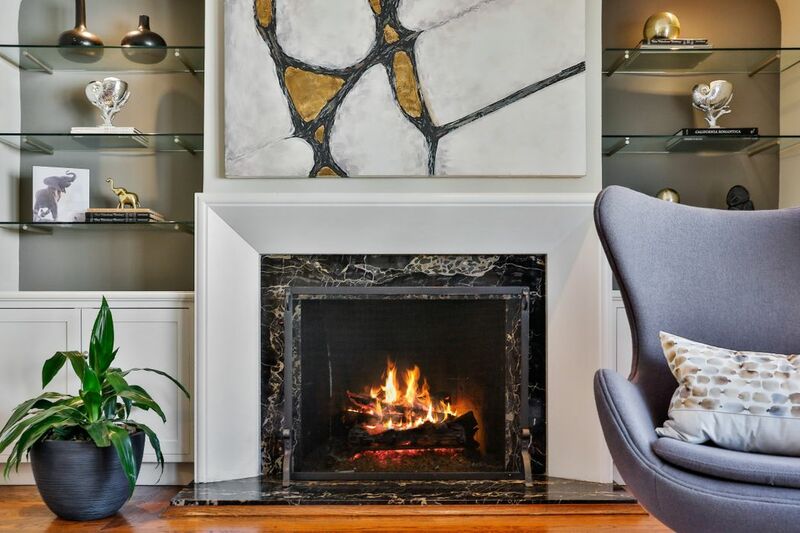 The main floor’s full-width living room includes a wood-burning fireplace (equipped with gas logs) and display alcoves. 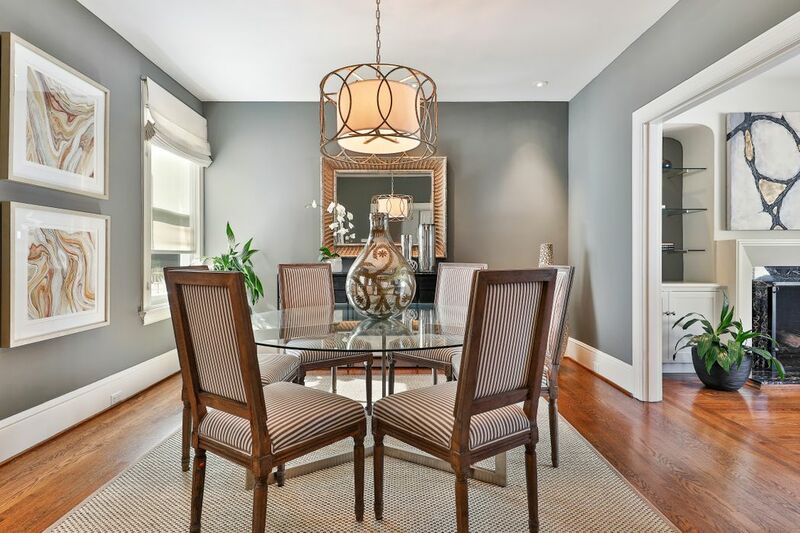 The formal dining room adjoins the living room. 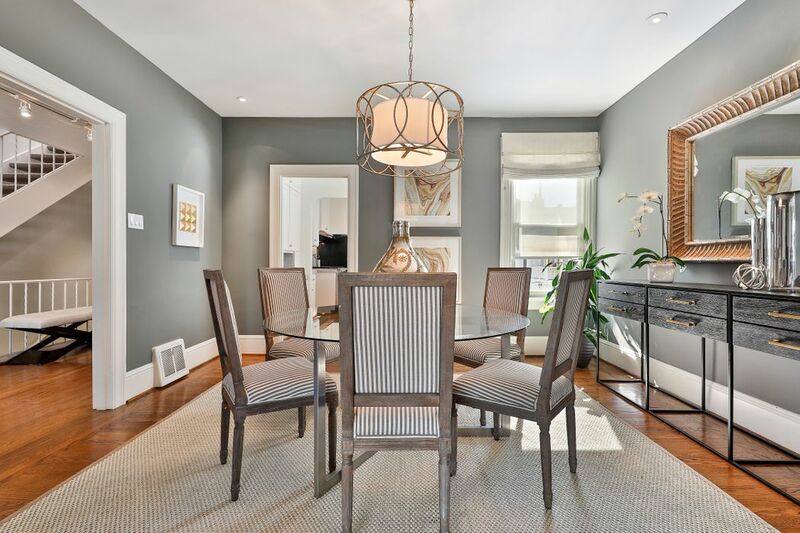 An updated eat-in kitchen – with a gas stove, grey Caesarstone counters and backsplash tiles – completes the entertaining areas of the residence. 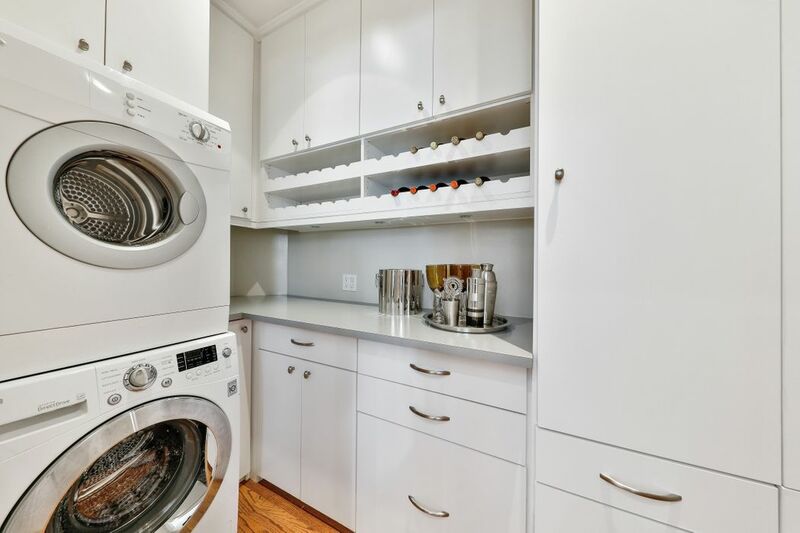 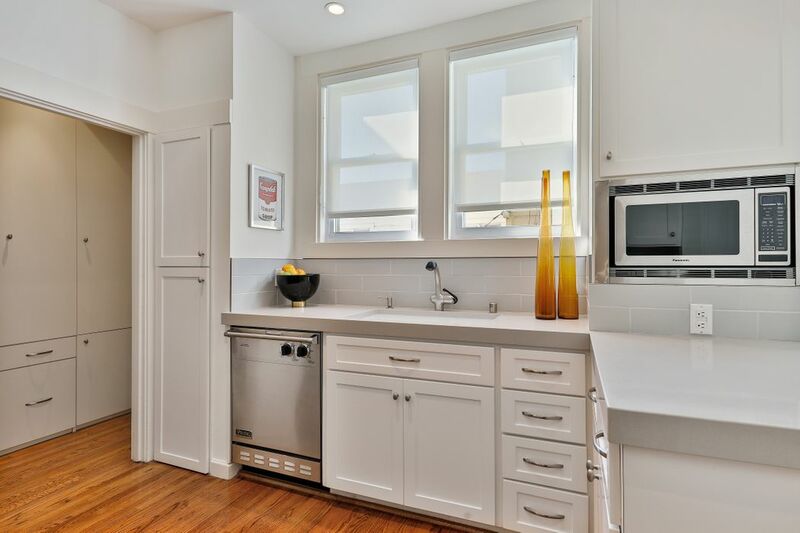 The pantry, wine storage and laundry room are found at the rear of the kitchen. 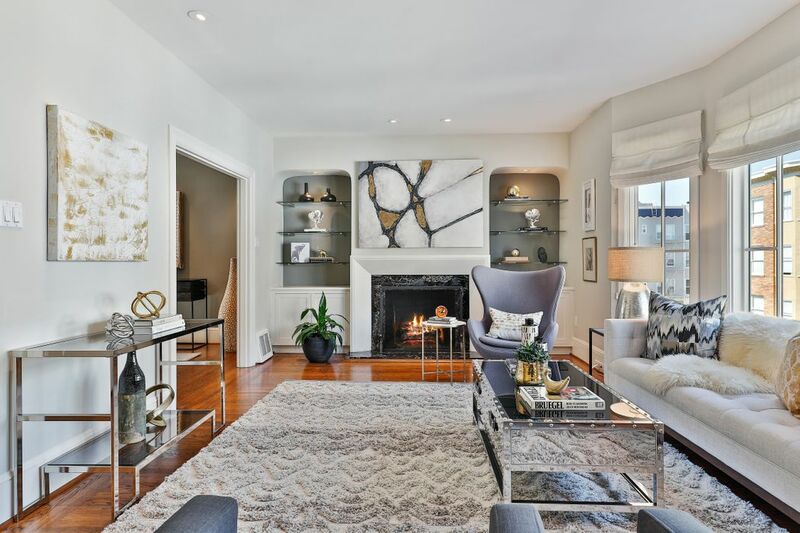 The remainder of the main floor consists of an updated hall marble bath with shower over tub, plus two bedrooms that adjoin the sunroom with wall of closets – a perfect office, sitting room or nursery. 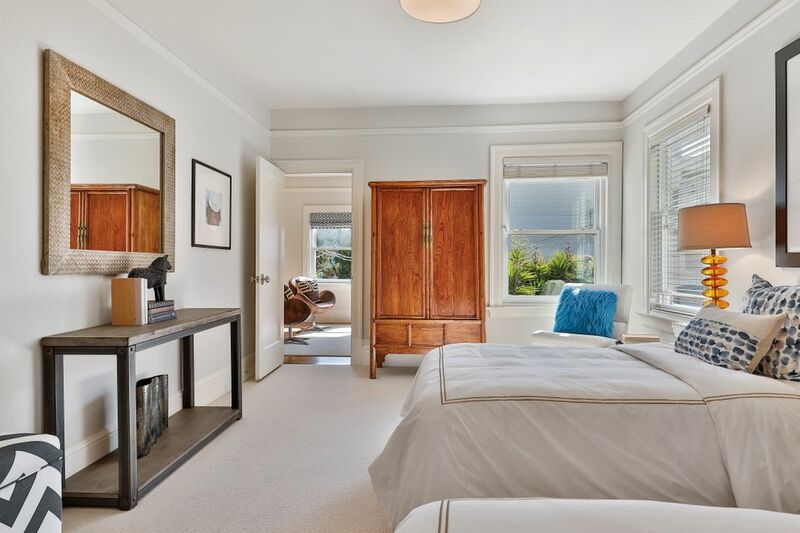 All have south facing windows and good proportions. 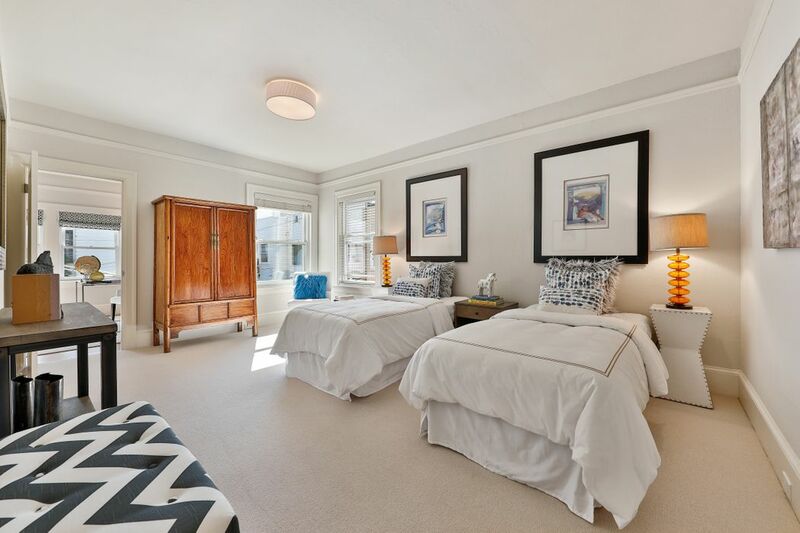 These two bedrooms have new, neutral wall-to-wall carpeting. 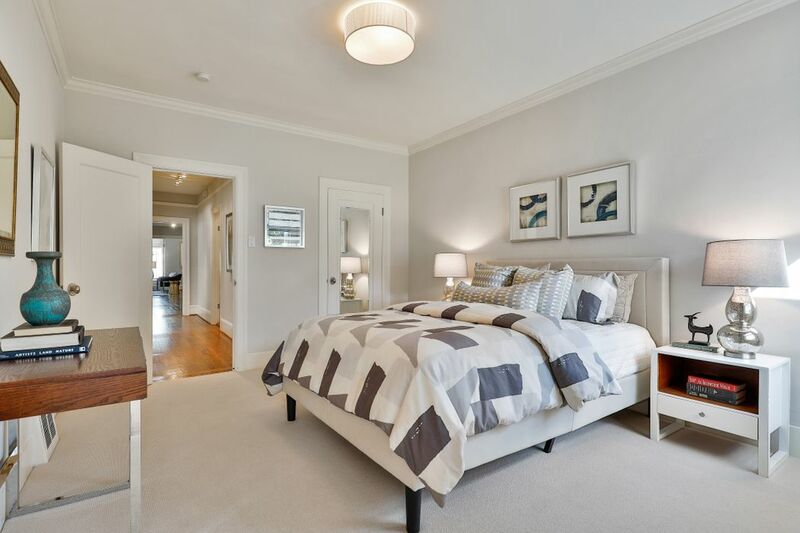 Modern grey sisal carpet lines the staircases, the upper portion of which have architectural contemporary open treads and lead to the upper floor master suite with skylights. 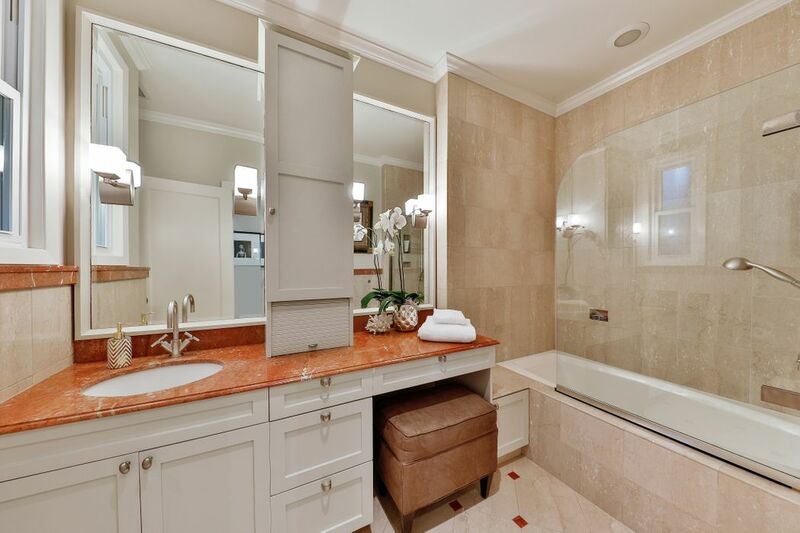 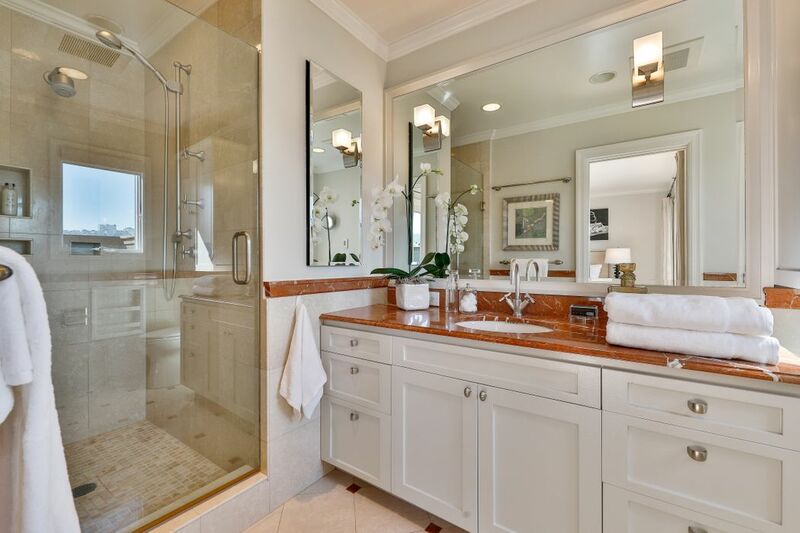 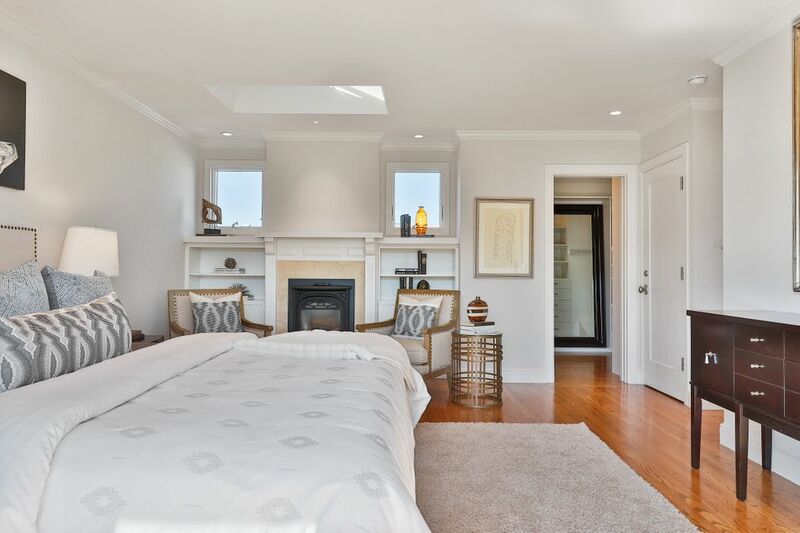 Spacious and private, the master suite consists of the bedroom with gas fireplace and skylight, large fully-equipped walk-in closet, and marble bath with shower. 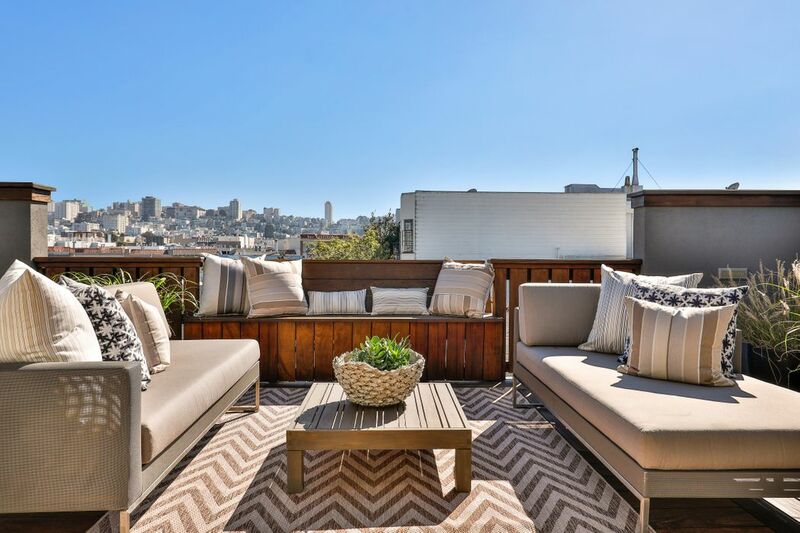 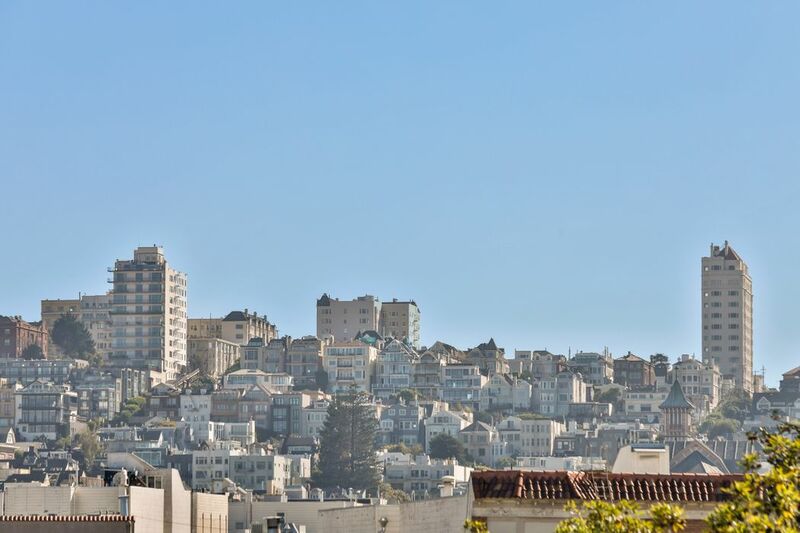 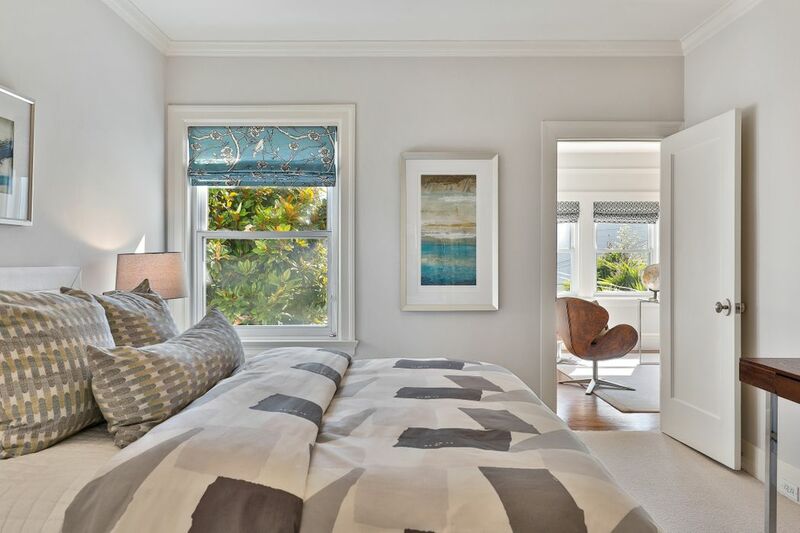 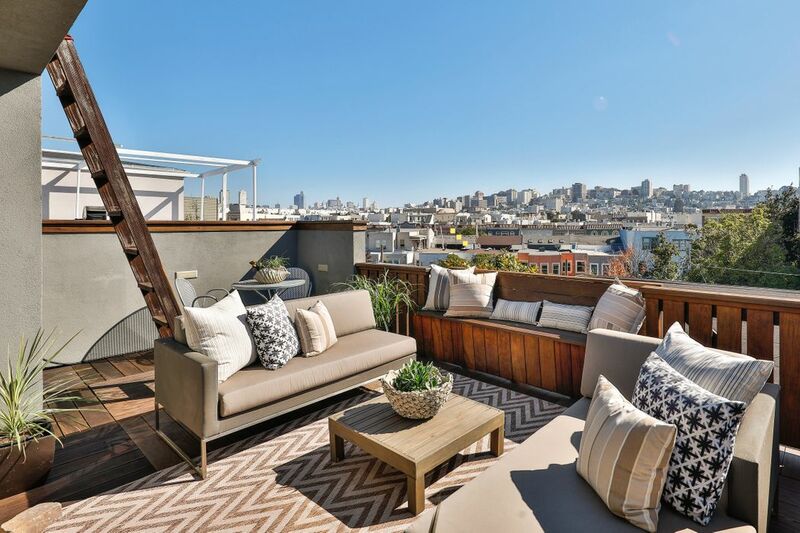 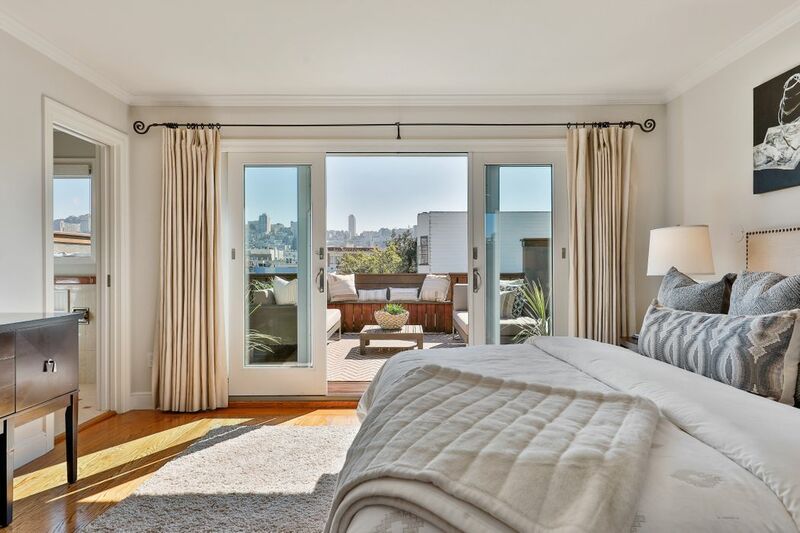 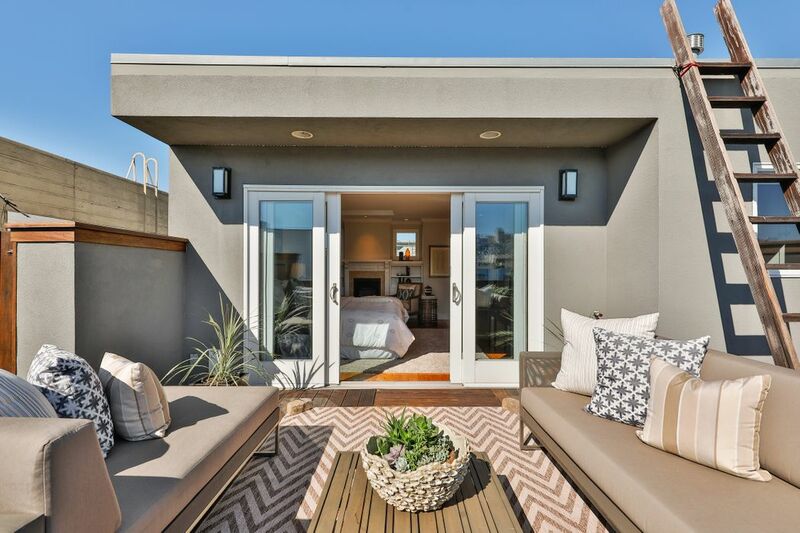 The master suite opens directly to the south-facing roof deck with views spanning from the City downtown to Pacific Heights and the Presidio forest. 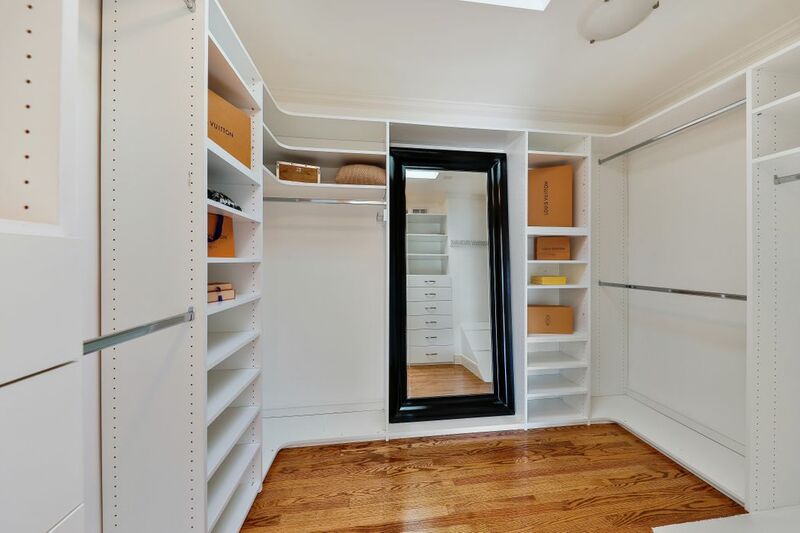 A deeded side-by-side parking space and storage lockers complete the residence. 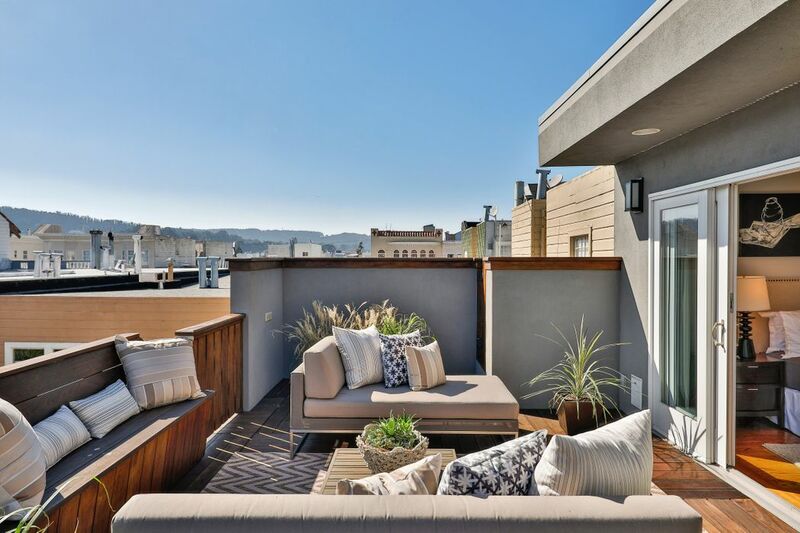 The vibrant Marina District enjoys access to both nature’s beauty and the thriving neighborhood street of Chestnut, which along with nearby Fillmore and Union Streets, offers chic shopping, specialty gyms, family-run groceries, restaurants and theaters.